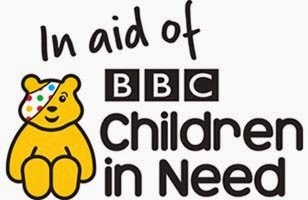 This year the Keytek® Team will be holding a Charity day in aid of Children in Need on Friday 14thNovember! This year we will be holding a variety of fundraising activities including ‘Breakfast at Your Desk’ team members will have the choice of a hot beverage and a breakfast treat to enjoy at their desk, ‘Kinect Sports Rivals’ where staff will use their sports skills against each other and a guess ‘Where is Pudsey baking?’ competition. Fundraising events that ran as part of last year’s fundraising activities were very successful and included a Bake Sale, ‘Breakfast at Your Desk’ and Mario Kart Championship. The Bake Sale ran throughout the day, baked goods on sale included anything from ‘Cherry Bakewell Slices’ to ‘Cake Pops’ dipped in chocolate, with the ‘Cake Pops’ proving to be extremely popular! The Mario Kart Championship saw members of staff battling it out through several rounds of different race courses to win ‘Mario’s Gold Chocolate Coins’. Last year’s efforts saw us raise an impressive £113.15, this year Keytek® are aiming to beat this by setting a target of £150.